So you’re thinking about visiting the Shire, and wondering where to start? If it’s a relaxed weekend of cafés, culture and those beloved beach-vibes you’re after you’ve come to the right place, and it’s only 30 minutes from the city. Assuming you’re heading south out of Sydney, let’s start on the west side! You’re going to need to fuel up so begin with brunch in Menai at the newest gem in the area, ‘Merchants of No Sense’. If coffee is more your style, then stay on the Bypass and head over the breathtaking Woronora Bridge to the 'famous' White Horse in Sutherland. Just up the road you can get a taste of history at Sydney’s Tramway Museum or make your way to Gymea where Hazelhurst Art Gallery sits nestled amongst the trees. This is a spectacular arts complex showcasing some incredible artists, both up and coming and distinguished. Here you can also swing by the gallery shop where you’ll spy the work of local artisans, from prints to jewellery and pottery, all available for sale. A stroll around the gardens won’t go astray either. As you start to Journey towards Cronulla there is more flora and fauna to be found at the Camelia Gardens in Caringbah. If you take Captain Cook Drive keep an eye out for Southern Cross Stadium, home ground of the reigning Premiers, the Cronulla Sharks. Assuming you will be staying in the area you may like to drive towards the coast where you can find a wide range of accommodation for just about any budget. Wander Cronulla mall or the water front for dinner options and finish the evening with some live music at the Brass Monkey. Now you have two options for this morning. Dependent on how active you would like to be , take the ferry over to Bundeena where, following clearly marked signs around to Jibbon Beach and Jibbon Loop Track , you can sight see the remnants of our Shires original artists, the Dharawal mob’s, ancient rock carvings. The walk is considered moderate so do bring a sturdy pair of shoes. If your visit has coincided with the first Sunday of the month check out the Bundeena and Maianbar Art Trail. 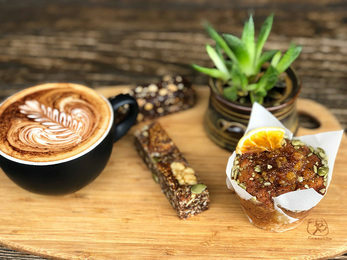 Alternatively, you can take the lower impact route, grab a coffee from Ham, Grind or one of the many other cafes in Cronulla, and soak in the sea breeze along the Esplanade. If you are lucky you might even catch a more modern day artist proudly painting and displaying his landscapes along the way. In the afternoon, peruse the GU Film House website for a nice selection of art house, retro and current movies and their session times or close out your weekend with some whale watching at Cape Solander, Kurnell. There’s nothing like a wave goodbye straight from the tail of a humpback!